Irish English: What is cat melodeon? Bernard Share’s Slanguage quotes Victoria White in the Irish Times calling cat melodeon “the greatest expression in Hiberno-English.” Not sure about that but it is fun to hear and use. 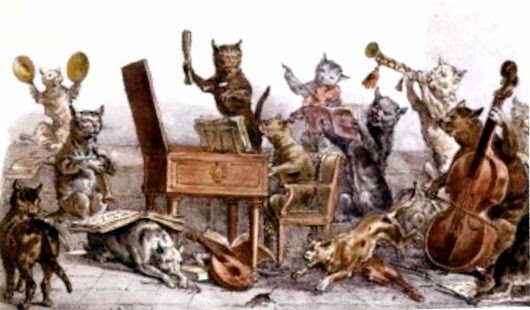 Where does Cat Melodeon come from?